Nathan has written a couple of things recently about the mindset of being unstoppable. He asked me to pick up on the topic of motivation and share a few practical tips from my experience producing music, recording bands and doing audio for film, theater and video. I’ll start with some general things and then we’ll get to something specifically music-related. First of all, and this goes without saying, you gotta be in shape. 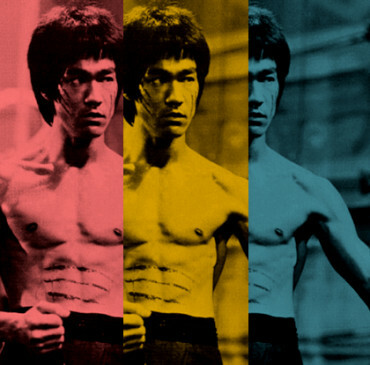 Stretch, get sweaty, pretend you’re Bruce Lee for 25 minutes per day, keep your mind body and spirit clean clean clean. You will be amazed how easy your “problems” appear to be, after you whip off a set of pushups. Third, unstoppably practice extreme visualization of what you want to achieve. By extreme I mean, see yourself already there achieving it. Fantasize, daydream, mentally drool, go through it a thousand times per day. As often as you can until you can taste it! You’d be surprised how well this works to remove subconscious blockages against success. How do you motivate yourself, or a band you’re working with, to finish an album project? You can use this as a studio engineer who’s keeping tabs on a session, as a musician, bandleader, or producer. This track sheet makes you unstoppable by giving you a simple way to manage a complicated project. Remember, visual artists can hang a group of paintings in one gallery and see how they compare to each other. Chefs can see which plate is missing the garnish, and dentists can count the people still sitting in the waiting room. Musicians can’t do any of those things because music happens only one song at a time. You can’t play a group of songs all at once, it would be chaos! Because of this linear-sequential character of music, it is dangerously easy to begin one thing, leave it for later, and never return until it’s too late. So let’s look at the track sheet in detail and see how it can help you avoid common mistakes such as publishing an unmastered song, leaving out a song entirely from an album, or losing a session when it gets deleted from the studio work drive. I keep these blank track sheets in my google doc’s so I can review them anytime, from any place, especially during down time away from the actual studio work. TRACK SHEET: band name, artist, movie title, event, etc. Output: Describe the final delivery format you need to create and deliver. (DVD, songs for a live concert, CD, etc) Include the target date for completion! These may seem obvious, but it’s important from the very beginning to be thinking of the finished product and deadline. Lyrics: Do they exist? Where are they stored so you’ll know where to find them? Key signature: Is is the right range for the singer? Does the band know what key it’s in? This is especially important for tracking soloists at different times, plus overdubs. Song form: Do we know the layout (ABABC, verse/chorus)? Where are the solos? How long will this song be? Can the band play it all the way through? Can we print a lead sheet for the band? Answer all of these questions before you start recording!!! Basics: The basic tracking. Are all the instruments recorded into one session yet? Are you ready to do the mix session without emergency overdubs? 2mix: A final stereo mix before mastering. Has this song survived the mix session without returning to any of the above stages? Do you know which version is the final mix, and is its file labeled properly? Now let’s organize our output formats. Each one of these should be a folder of files on your computer AND backup drive. HQ master: Has the track been mastered in a full-quality version? What about mastering for radio, for vinyl, for digital? MP3: Has it been converted to MP3 and tagged with artist, title, etc? Will all the info show up correctly in an mp3 player? Graphics: are they done? Are you using the album cover as the artwork for every song, or are there individual graphics for each song? These go into the MP3 tagging so people can see pictures in iTunes. Backups: Think about it now while you still can. With all these versions and edits, have you put them into another place… or are they all sitting on one laptop? Note: we’ve omitted video from this process, because that is a whole ‘nother ball of wax. Organizing your work with a track sheet allows you to see the whole project at once, and it leads you through the process of completion so nothing gets left out. It will help you avoid the #1 pitfall of wasting time. Do not spend three hours making micro-edits on an automation lane while you’re sitting in a miked-up studio with musicians waiting! Likewise, don’t start mastering one song before you know what format they want to publish it in! And for heaven’s sake don’t let the mix engineer start mastering a song when you already booked a mastering house to do it next month. Finally, in personal terms, a track sheet helps to keep the momentum moving towards finishing what you’ve started. Nothing is easier than sitting down to noodle around and come up with a million great ideas… but nothing is harder than putting it all together into a finished result, especially when everything is all over the place. Track sheets are one more tool in your creative arsenal to help you get out of that slump. Remember up top, we talked about visualizing success? The track sheet is essentially a visualization tool. The more often you review it, the more powerful it becomes. Finally, the essence of being unstoppable is simply to succeed in creating something, where others do not.